Bukit Batok finally ends its idle mode in terms of real estate development. After 12 years, a new residential project named Le Quest is finally rising in the area and it is getting ahead of many other surrounding developments like Tengah and the Jurong Lake District. Qingjian Realty, which has established a commendable track record in its various building projects since 1999, highlights the first mover advantage of its latest development. Le Quest will be the first and so far only mixed-use complex new launch condo in the entire Bukit Batok. The residential development would have 516 units comprising of studio-type and multiple-bedroom dwellings within five blocks of 16-level buildings, which in turn would all be over a four-storey commercial podium where there would be retail shops, restaurants, a supermarket, carpark, and other communal facilities. Residents could easily get to almost any important area across Singapore through five major roads: Bukit Batok Road, Boon Lay Way, Jurong Town Hall Road, AYE (Ayer Rajah Expressway), and PIE (Pan Island Expressway). Public transport is conveniently available. Bukit Batok MRT and Bukit Gombak MRT stations are just about a few bus stops away. Seven public bus services traverse Bukit Batok West Ave 3 and Bukit Batok Road to bring passengers to Orchard Road, Downtown, Little India, Chinatown, Botanic Gardens, Beauty World MRT station, Bedok Reservoir, Jurong East mega shopping hub, Woodlands, Upper East Coast, and the causeway going to neighboring Johor, Malaysia. 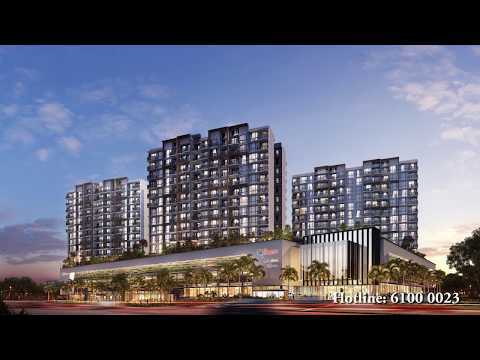 Le Quest is also very near to Jurong Lake District, which is our 2nd Central Business District (CBD) and Jurong East High Speed Rail (HSR) terminus. In future, you probably need 7mins drive to reach HSR terminus and another 90mins to reach Kuala Lumpur (KL). Families with kids will find living in Le Quest convenient as there are many options for schooling around the vicinity. St. Anthony’s Primary, Princess Elizabeth Primary, and Swiss Cottage Secondary are just nearby as well as tertiary schools like Ngee Ann & Singapore Polytechnics, Millennia Institute, and National University of Singapore. Expats with families would also rave about the proximity of several international education institutions near the area, including Dulwich College and Canadian International School—both offering programs catering to young children and secondary school students. Residents can enjoy shopping and dining anytime. The retail podium located right below their dwellings has numerous restaurants, a foodcourt, boutique shops, and a supermarket. For more options, just about 10 minutes away are shopping complexes like Big Box at Jurong East, JCube, Westgate, JEM, and IMM. The Cathay Cinema within West Mall is a good place to enjoy movies in the big screen. Leisurely strolls can be ideal family bonding activities at Little Guilin or Bukit Batok Town Park. Bukit Batok Nature Park boasts of a vast picnic area that is overlooking a quarry cliff and crystal clear waters. Not far is the lush greenery where families can take advantage of running and hiking trails. The West Coast Park, also in the vicinity, is a haven for joggers and cyclists. Meanwhile, sports and recreational facilities can also be reached in less than 10 minutes like Bukit Gombak Stadium & Sports Hall and Bukit Batok Swimming Complex. HomeTeam NS club, on the other hand, is open for bowlers and golfers.